"Birds of Olton" series Planter. 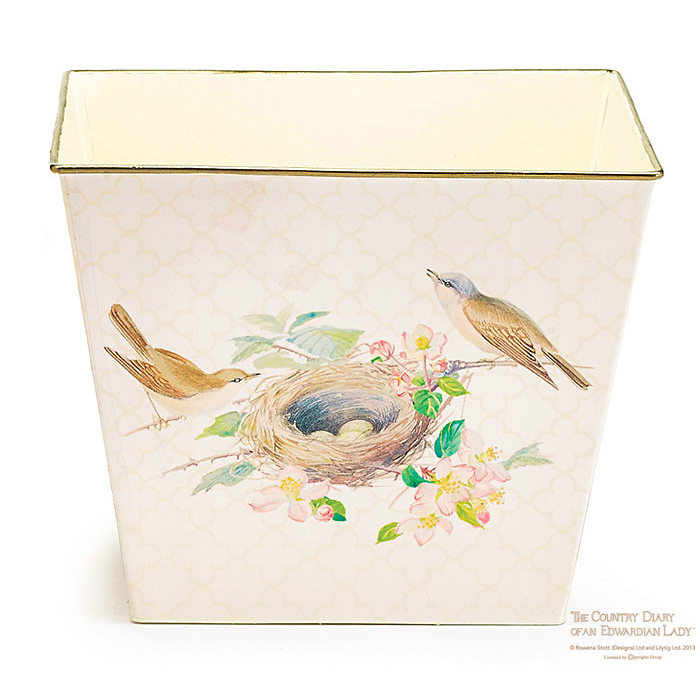 6" square cream tin planter with gold trim and bird decal to match. 6"H X 7 1/2"W X 7 1/2"Depth.